Announced right before this year’s IFA in Berlin, the RHA T10i in-ear headphones are the British company’s most capable offering to date. The headset features innovative construction that includes injection-moulded stainless steel and interchangeable tuning filters. Based in Glasgow, Scotland, Reid Heath Acoustics has already established itself by offering products, which combine quality sound, premium build, and value for money. Hit past the break to find out it the T10i fits in the same mould! RHA T10i ships in retail box that is as good looking as the headset itself. Inside it, you will find the headphones, two sets of interchangeable tuning filters with a dedicated holder, a whopping ten pairs of ear tips with metal holder, a carry case, and a clothing clip. As far as additional accessories go, RHA has you fully covered. Its retail package is one of the best I have seen, regardless of the price point. The bundled ear tips include two pairs of universal memory foam tips. The latter take the exact shape of the user’s ear and offer superb levels of comfort and noise isolation. With drivers made entirely from stainless steel, the RHA T10i headset looks like a serious audio tool built with purpose, not fashion in mind. Each driver is color-coded, thus further assuring the user that the headphones mean business. Detailing throughout the headset is truly impressive. 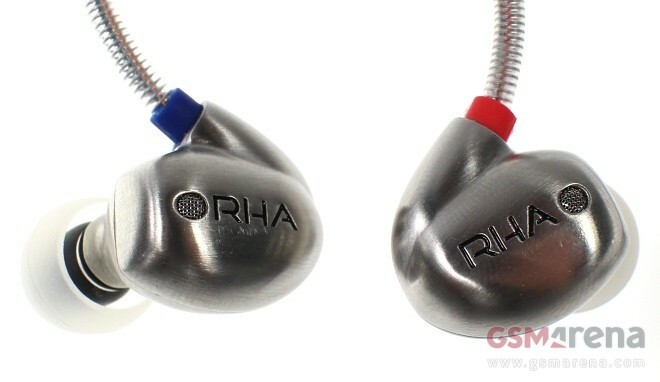 RHA’s branding is etched into the stainless steel of the drivers, the 3.5mm audio jack, and the and the cable splitter. Even the interchangeable tuning filters look like tiny turbines. The above considered, the T10i looks a lot more upscale than its already considerable price tag suggests. It makes most of its competitors in the price range look cheap in comparison. Considering the materials used in its making, it is hardly a surprise that the build quality of the RHA T10i is superb. The stainless steel housing of the headset has been crafted using metal injection moulding. 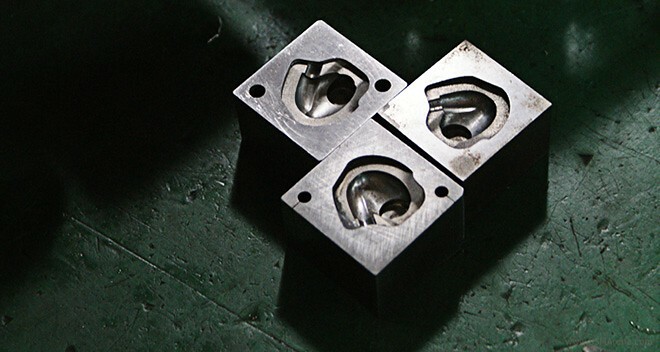 The process includes subjection the steel to 1300°C to ensure its correct density and durability. Stainless steel is used for the 3.5mm audio jack connector; the cable right above it is enforced with metal coil as well. The over-ear hooks have metal in their construction too. RHA is serious about the quality of its headphones. The T10i comes with a sweet 3-year warranty – another rarity in its price range. RHA T10i weighs 41grams, which is reasonable considering the quality materials used in its making. The headset’s patent-pending over-ear hooks are made to take the shape of the user’s ear, so comfort is guaranteed. At 1.35m (4.5ft), the cable of the headphones is longer than the usual for an in-ear headset. The three-button iOS friendly remote features a depressed call/play button, which is easy to reach even without looking. Sadly, you can’t use all three buttons on a non-Apple device. Only the call/play button works on Android and Windows Phone hardware. Overall the T10i is comfortable to wear during long stretches of time. The fit the headset provides is seamless, while it low weight helps avoid any fatigue. RHA T10i features handmade high fidelity dynamic drivers with frequency response that ranges 16 and 22,000Hz. Impedance and sensitivity are 16Ohms and 100dB respectively. Max power of the headset is rated at 1/5mW. There are three sets of color-coded tuning filters that are bundled with the headset. They include one reference set (in silver), another for enhanced bass response (in black), and third one (in copper) that focuses on treble. The bass and the treble filters are tuned to enhance their respective range without eating into the mids. Check out the setup of each in the graphic below. Each set of filters alters the frequency response of the T10i on a hardware level. Changing the filters requires you to unscrew them by hand. The process is quick and easy – there are no tools required. The filters are stored on a small stainless steel plate. I began testing the headphones with the reference filter, which is silver in color. As its name suggests, it offers balances sound across the range, regardless of the style of music you are going to play. I reckon that this will be the most often used setup – it offers deep, but natural sounding bass and well sorted highs. The bass-centric reference filters, as expected, softens up the low-range. However, it does not affect the mid and the treble section. I found this particular setup enjoyable for listening to today’s more popular tunes, as well as gaming and watching movies. The last two activities benefit greatly from the black filters. The copper-colorer treble filters offer a perfect setup for acoustic music, as well as classical pieces. The high range becomes noticeably more vibrant and lively without losing any depth in the lows and the mid range. Quality of the phone calls on the RHA T10i is excellent regardless of the filter in use. The RHA T10i headphones are good-looking, superbly built, and hugely capable in the sound department. The interchangeable sound filters are not just a gimmick, but proper audio tools, engineered to do exactly what they are meant to. At $199.99, the T10i is hardly cheap. However, you will be hard-pressed to find a single competitor in the price range that offers the newcomer’s craftsmanship or breadth of talents in terms of sound reproduction. That 3-year warranty is not to be overlooked either – it adds another layer of confidence in the product. RHA T10i is available in the company’s online store or on Amazon. You can also find the headphones in Apple’s retail stores.